Big horizons put you in your proper place. A squall approaching in the Abacos, Bahamas. 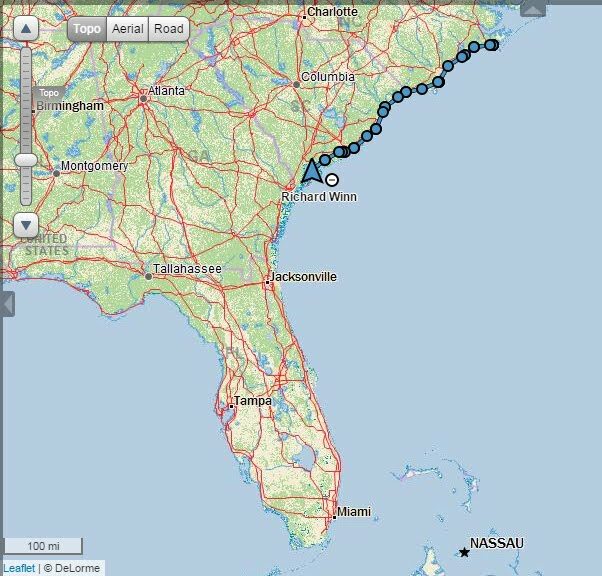 We started this trip down the coast and across to the Bahamas by ourselves, just the two of us. In the Bahamas we were seldom alone. And that has been just fine with us. In the early days of preparing to embrace a new life of extended travel on a boat, a research colleague of many years, Michelle Norris, considered the isolation of a boat and questioned Bud about how he might miss interacting with people. 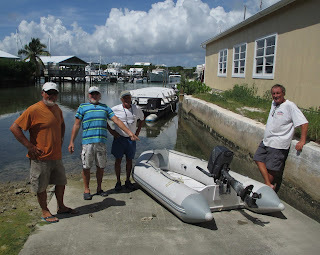 Bud exclaimed that, in fact we could expect to be interacting more, not less, on the boat, and we might find this life to be rich and full with diverse and interesting people. We have discovered that the community of people who travel by boat is beyond what we had imagined. It would be too simplistic to explain that these outstanding friendships arise because we just have so much in common – similar challenges, adventures, and the life of travel. 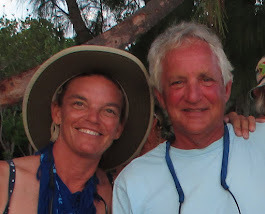 Conversations with Nancy on her cottage deck in Man O' War Cay. She revealed that she had been a stunt pilot. Certainly, it is that, and more. Consider when many long distance sailors meet, the first question is seldom the most commonly asked question in the world outside of sailing – “What do you do?” It has been said that this select group is not much different from the Foreign Legion in which questions of a former life is only of minor interest. More likely the first questions include: Where did you come from? Where are you going? How did you fix that? 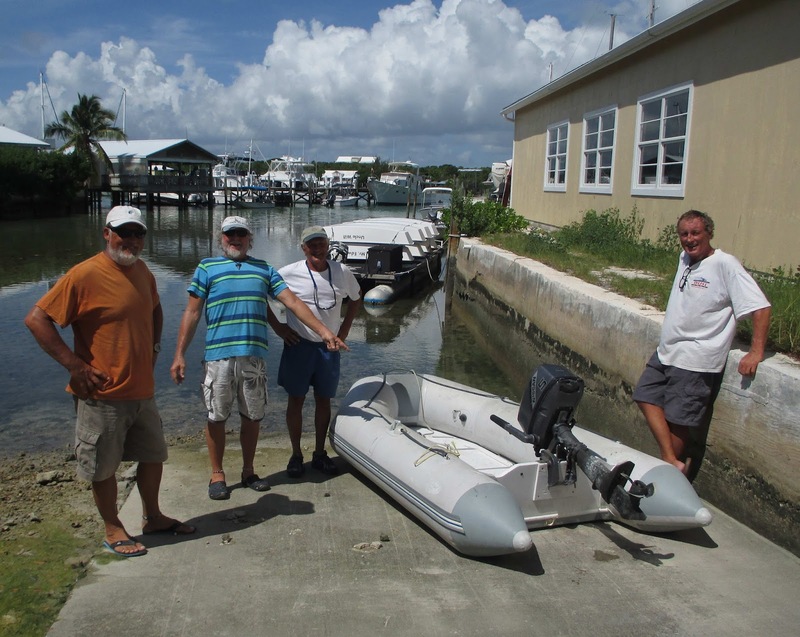 and launching of our "new" dinghy in Man O' War Cay. It is impossible to categorize these individuals as a single ‘type’ of person. We have met American, Canadian, English, Australian, French, South African, and German sailors. They have much in common but that has little to do with their former professions, nationalities, political beliefs, prosperity or lack of it. Often in just a few hours, from conversations, sharing meals, hikes, sundowners on the beach, staring up at the stars, these voyagers bond at a level others may envy. These bonds are remarkably strong. Admittedly, it is still a mystery to us how this happens and how it happens repeatedly. 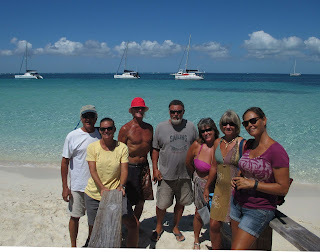 On a walk to the beach on Man O' War Cay. John collected and prepared a refreshing coconut water for Shirley and Bud. Dinghies tied together for a snorkel on the reef at Sandy Cay. Most excursions were with the entire 'gang'. John keeps the tradition of blowing the conch at sunset. The downside of friendships between world travelers is that the parting and heading in different directions is inevitable and sometimes painful. A breakup of a ‘tribe’ is difficult. This explains why these sailors tend not to dwell on lengthy goodbyes. Mostly, they say, “Until we meet again”. These travelers don’t know where or when, or if it will actually happen, but most like to believe it is possible to meet again. Bud and Tracy with John, John, Shirley, Marita, and Holli assembled before goodbyes. 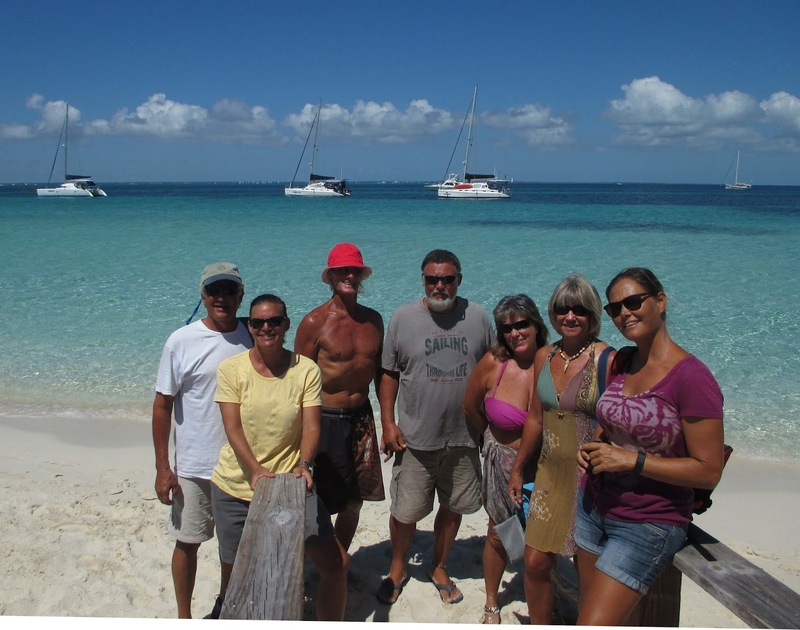 We thank the sailing “community” for enriching our lives and showing us what Hal Roth, the circumnavigator, described as “the authentic life”. 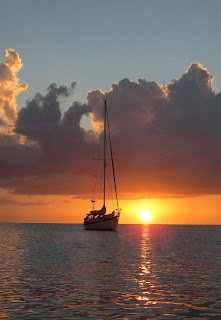 If you think your horizons might be limited or you are feeling isolated, go find a blue water cruising sailor. You may find some good humor, good conversation, and possibly some vicarious adventure. However, you may want to avoid that guy who sits on a boat and never leaves the dock! Layla at anchor off Crab Cay, Abacos, Bahamas. Love your blog and it was really great meeting you both. Your knowledge of the marine environment the you shared with us was greatly appreciated. We miss the fun times together and until next time,fair wind. Hope to meet up someplace soon. One Love! That's why I'm so bad at small talk at a party or other social gathering. I usually already know exactly what the others do and the other questions like about where someone came from will most likely be misunderstood. But I am part Norwegian and I have to fight my Scandinavian tendency to keep a social distance unless invited in first. Love your perspective and thoughtful insights into 'the authentic life'. Knowing that many feel that hesitancy, we have often said that ice breaker "hello" with remarkable results.